I can not tell you how many times I have heard someone say, “I just can’t believe in a God that would throw people into hell.” The problem is, that it does not really matter what you believe, it matters what the truth is. In college I had a friend who was always joking that he did not believe in gravity. One evening he was somewhat inebriated and came to my room and started espousing his theory of not believing in gravity. To prove his point, he jumped out of the second floor window of my dorm room. My friend learned that even though he did not believe in gravity, gravity believed in him, and had if it not been for a few tree limbs that broke his fall on the way down, he could have been seriously injured. Gravity is there, and it will impact us, whether we believe in it or not. The same with God’s spiritual precepts. They are there, they are true, and they will affect us, whether we believe them or not. On that day we stand before the One True Holy God, we are not judged based on the god of our imagination, but the God of scripture, His Nature, and His Precepts. As such, it is extremely important to ensure that we are not simply picking a few verses here and there, taking them out of context and then creating a God in our own image, to suit our own purposes, and then expecting him to save us. In Part 1 of this series of articles, we saw that we can create a scriptural picture of the attributes of God by studying Jeremiah 9:23 and Isaiah 33:22. In Part 2 we looked at scripture describing the Holiness and Righteousness of God, and in Part 3 we looked at God as King and Lord. 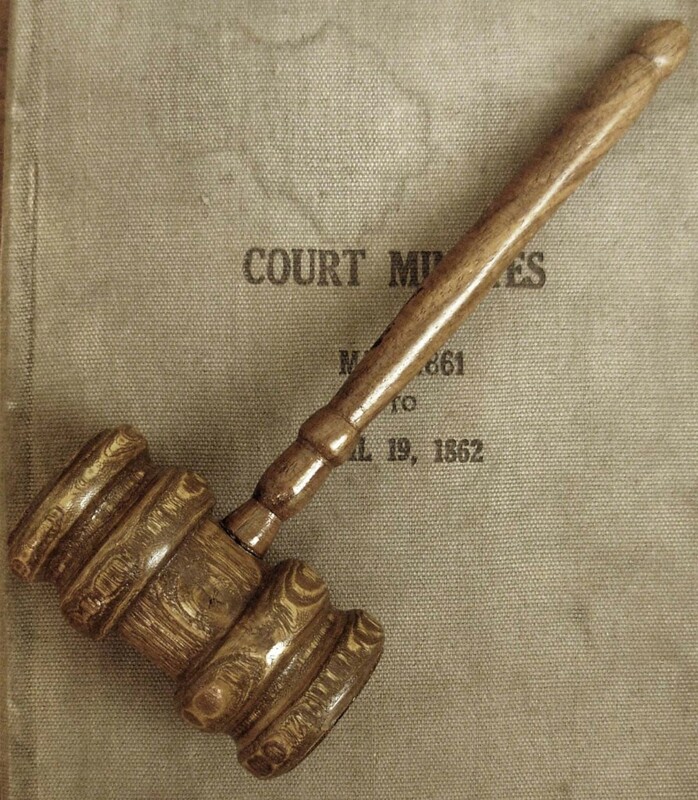 In this article we will look at God as Lawgiver and Judge. Simply stated, God makes the rules as far as what is acceptable and what is not acceptable to Him. He creates the rules, and then He is the judge. His judgements are based on His standards, and not ours. What we believe about God is not the measure against which we will be judged. We will be judged based on the righteous decrees of God as revealed in His Word, the Holy Bible. Revelation 20:11-15 presents an awesome and terrible picture of the Great White Throne Judgement of God. Please prayerfully read and reflect on this text. In studying these two texts, it is clear that we must make sure to get this thing right. The most important thing for us to do in this life is make sure we are in the “Book of Life”. Notice in both the Revelation and Matthew accounts of judgment, the accused stands alone before God. The person being judged is alone. The priest that told them to say three “Hail Marys” and their sin would be forgiven is not there. The preacher who told them that if they were sprinkled as an infant that they are a member of the family of God is not there. The vacation bible school teacher that said that if you walk the aisle and say the sinner’s prayer you are promised a spot in heaven is not there. The preacher who said if you are thinking the right thing when you are baptised, and if the preacher says the right thing, then you are saved is not there. The evangelist who says that if you come up from your baptism speaking in tongues you will be saved is not there. The condemned stands before God alone. They are judged by Him based on His standards, not based on what we believed to be true, or even what we are taught to be true. We have to get this thing right. 10 Therefore, brethren, be even more diligent to make your call and election sure, for if you do these things you will never stumble; 11 for so an entrance will be supplied to you abundantly into the everlasting kingdom of our Lord and Savior Jesus Christ. We do not want to slide into heaven as through the fire, by the skin of our teeth. We want to hit the bullseye in the center, and to find “an entrance supplied to you abundantly into the everlasting kingdom of our Lord and Savior Jesus Christ”. Friend, have you ever made your election sure? Have you ever questioned yourself on what you believe, and why you believe it? Most likely you follow the faith of your parents, and believe what they believed because that is how you were brought up, and that is how they were brought up before you. Have you ever wondered, what if they were wrong? Have you ever poured over scripture to really study what the word of God says about salvation? How are we saved? What are the signs that we are saved? How can we be sure we are saved. 12 Therefore, my beloved, as you have always obeyed, not as in my presence only, but now much more in my absence, work out your own salvation with fear and trembling; 13 for it is God who works in you both to will and to do for His good pleasure. We are told to “work out our own salvation”. This does not mean to work “for” our salvation, it means to figure it out, and we are to figure it out with “fear and trembling”. It is a weighty matter and many will be surprised on the day of Judgment to find that they did not get it right. We are told to figure it out for ourselves. It is great to have godly leaders and friends encourage us and guide us, but in the end you are accountable for getting it right. In the next article we will begin to look at God as Savior and Love, and we will help guide you through scripture that presents a biblical account of salvation and Christ’s atoning sacrifice for us. 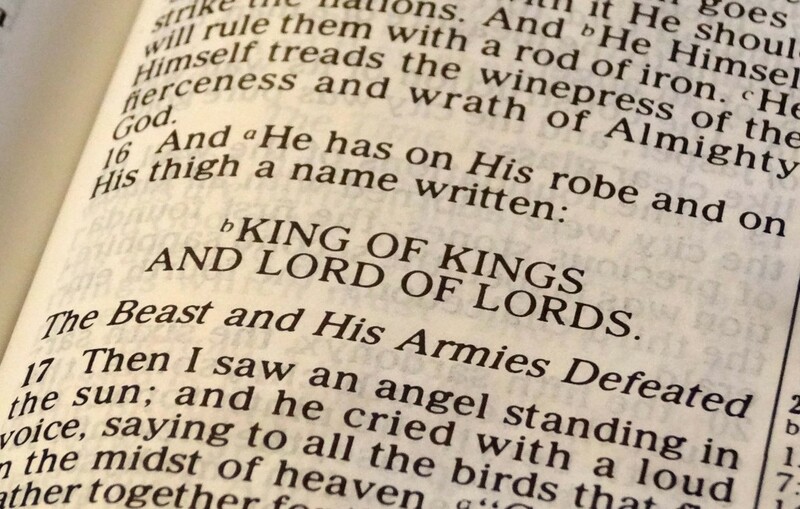 At this point though, I hope we all clearly see God’s attributes of being KING, LORD, Lawgiver and Judge, and our incredible need to be in the Lamb’s book of life. I hope and pray that you will continue in this study and invest time in prayer and study to work out your own salvation, and make your election and calling sure. In this series of articles we are examining the Biblical attributes of God. We are trying to set aside the popular cultural image of God and to develop a true and complete understanding of God as described in the Bible. We want to know Him, understand Him and make Him known. Popular christianity paints a picture of a character that is at our beckon call, to address any concerns we have related to our circumstances, comfort and desires. We “receive” Christ, and then most put him in the trunk of the car, some put him in the passenger seat, but few put him in the driver’s seat. The issue is, we must understand that God is KING and LORD, and true saving faith is making Him KING and LORD of our lives. This means that we hand the car over to Him and let Him drive. We go where he drives. We follow Him, we do not take Him along with us. This concept is lost in most of the modern church. God is a tool we use to have a comfortable life and to reach our career, family, and personal goals. We can all have our Best Life Now, as one preacher teaches. The problem is that this is not the God of the Bible. 19 And I saw the beast, the kings of the earth, and their armies, gathered together to make war against Him who sat on the horse and against His army. 20 Then the beast was captured, and with him the false prophet who worked signs in his presence, by which he deceived those who received the mark of the beast and those who worshiped his image. These two were cast alive into the lake of fire burning with brimstone. 21 And the rest were killed with the sword which proceeded from the mouth of Him who sat on the horse. And all the birds were filled with their flesh. These verses present a picture of the Son of God that is rarely preached in churches any more. Yes, at His first coming He was a humble teacher, riding on a donkey, and yes He did come to save us from our sins, but the image at His second coming is a very different picture. Now would be a great time to make sure that you fully know Him, understand Him, and place your life under His LORDship and KINGship. Notice that at His return, He is not on a donkey but on a horse, and it is a horse of war. Verse 11 tells us that the purpose of His second coming is that He comes to Judge and Make War. He returns as a Warrior and a Conquering King. The sky will split open, He will bolt through the tear on a mighty white horse, and the time of judgment, wrath, and slaughter will begin. You might be thinking now, “that is NOT the God I believe in”, but unfortunately it is the God of the Bible. He has been compassionate and merciful to hold back His wrath in the hopes that men will come to repentance and be saved, but there is a limit to that patience, and the day will come and is soon coming that He will no longer hold back His righteous judgments. Now is the time to come to terms with this returning King, but the terms are His terms. He expects total surrender of our lives to Him. We are to believe in the name of His son, Jesus Christ, and we are to obey and follow Him. Our life is no longer our life, it is His life. We are forgiven by repenting of our sins, believing on the name of Jesus Christ the Son of God, and if our belief is real, our lives will be changed. We will begin to love the things He loves, and hate the things He hates, and through His Holy Spirit our lives will begin to be conformed to His will and His image. But we must decide now to Believe in Him and to Follow Him. And My own fury, it sustained Me. Verse 1 clearly identifies the subject of the text is Christ, who is the only one who speaks in righteousness and is mighty to save. So we know that the character referred to in these verses in Christ. Since the events in the verses did not happen at His first coming, we know that it must refer to His second coming. In verse three we see that He has trodden the winepress of His anger, that He has trampled His enemies, and the red on His garments is the blood of His enemies, whom He is destroying. This is not the popular image of Christ, it is not the Christ of facebook theology or popular Christian music and t-shirts, but it IS the Christ that is returning to Judge and Make war. Now back to Revelation 9, we see in verse 15 that He is successful in militarily conquering the earth, and establishing Himself as King. When He returns, He does not wave a magic wand and make Himself King . . . He conquers the earth by waging war on His enemies on the earth. Then note in verse 15 after conquering the earth, He rules and reigns as King. Even after conquering the earth, it appears that there are still those who resist His Kingship, so He must at least initially “rule with an iron rod”. We see that He establishes Himself as KING OF KINGS AND LORD OF LORDS, and at that point He executes a great slaughter on the earth of His enemies. Friends, we need to make sure we are on the right side of this thing. Christ is returning, and many who believe they are right with Him are not. On that day, many will say Lord, Lord, and he will tell them “away from me, you practicers of lawlessness, I never knew you”. We are taught throughout scripture that getting right with God is a matter of believing the Gospel. Believe that Jesus Christ is the Son of God, that He came to the earth to live the perfect life we could not live, and then offered His life as a sacrifice to purchase our forgiveness. The punishment that we deserved was put on Him, and by His wounds we were healed. Believe that after being crucified, He arose on the third day, demonstrating His power over satan, death, and the grave. Eternal life is a free gift, and is all about who He is and what He did. The gift we are offered is not deserved and is not earned. If we believe, He will be faithful to complete the good work He has started in us. Over time, we will more and more reflect His attributes. Our fleshly self will begin to melt away, and more and more of His light will shine through us. Obedience is not the cause of our salvation, it will be the fruit of our salvation. It was probably about the 1980’s that secular “marketing” experts began to move into the Christian church. These experts showed how through proper marketing, you can sell anything. If these secular techniques worked for selling cars and soap, they certainly should work to sell the “gospel”. Out of such thinking was born the “Seeker Sensitive” church and the “Purpose Driven” life. At the start, these movements were not patently evil, just terribly misguided. The idea was, in effect, we want more people to “accept” Christ, and more people to “believe” the Bible. The church can get more people to “accept” Christ if we make Him more acceptable, and more people will “believe” the Bible if we make it more believable. We can help the process of accept and believe along if we basically tell people what they want to hear. We can “sell” the Gospel better if we describe a god of Love who expects nothing of us. As a result of this we have ended up with a church that preaches an “acceptable” gospel that depends on the techniques and tricks of secular man instead of the Power of God and His Holy Spirit. One of the outcomes of this secular gospel is that God is presented more as a cool dude, just like us, than the Righteous, Holy, Lawgiving, Judging, Returning KING of Kings and LORD of Lords. In effect we have lost any sense of fear and trembling as we consider Him. We have created a god in our own image, and our god expects little to nothing from us, and is always pleased with us. 4 And the posts of the door were shaken by the voice of him who cried out, and the house was filled with smoke. This chapter demonstrates the Holiness and Righteousness of God. Notice that God is surrounded by Seraphim, a special type of angel, that constantly encircle the throne and declare the Glory and Holiness of Him who sits upon the throne. The magnificence of the seraphim themselves is almost beyond comprehension, but notice that the glory of God is so great that even they can not look upon Him, but are given two special wings to cover their faces, so as to not look upon the King. The seraphim have voices that thunder, and shake the room, and the room is filled with smoke. Next we should notice the response of Isaiah to the Holiness and Righteousness of God. He does not wander up to the throne and give God a high five. He does not go give the King of Glory a knuckle bump or a slap on the back. No, Isaiah falls to his knees in fear, trembling and repentance. Over 300 times the Bible warns us to “fear” God. The modern church often teaches that this word, “fear” really means “respect”. My friend, we need to remember that God had full command of the language, and had he intended to convey the concept of “respect” He would have chosen that word. But He did not. He chose the word “fear”. While there are many facets of our relationship with God, it is important to remember that one aspect of our relationship wit Him is that we should fear Him. Certainly the response of Isaiah to the Holiness and Righteousness of God was one of fear and repentance. Isaiah falls to his knees before the Lord, and in fear and trembling he is totally aware of his sin, and in complete brokenness he confesses his sins. He also confesses that God is both Lord and King. Then we notice God’s response to Isaiah’s fear, trembling, repentance and confession. God does not tell Isaiah that he is wrong in his assessment of himself and the situation. He does not try and build Isaiah’s self esteem. 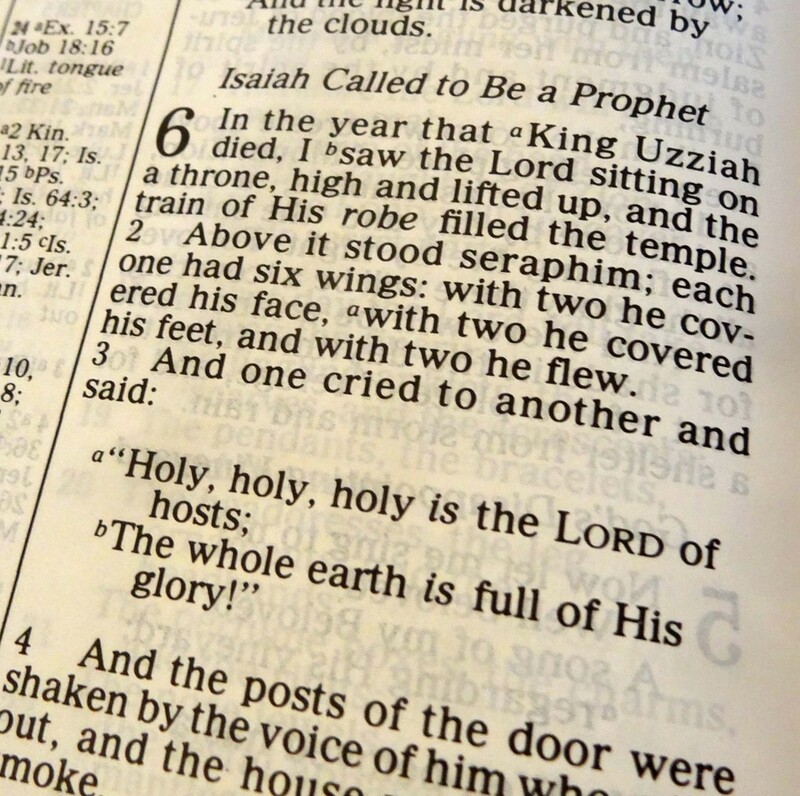 He basically acknowledges Isaiah’s unworthiness, and in His mercy and sovereignty uniquely provides atonement for Isaiah via a coal from the alter, so that Isaiah is not consumed by being in the presence of a Holy God. We know that our atonement comes through the sacrifice of Jesus Christ on the cross. Isaiah 6 occurred before the atoning sacrifice of Christ, but yet this verse gives us a glimpse of the redemptive model of God. Ask yourself what was the role of Isaiah and what was the role of God in this redemptive picture? Isaiah’s atonement did not stem from his worthiness, obedience, or righteousness. It was solely and completely a gift from God, based on God’s mercy and His sovereignty. It had nothing to do with Isaiah. For his part, Isaiah recognized, confessed and repented of his sinfulness and wickedness, and when the atonement was offered, he simply accepted it. The thing to notice is that Isaiah’s obedience did not lead to his forgiveness, it followed after. God provided atonement for Isaiah through the hot coal, and Isaiah’s response was then to follow and obey God. The primary teaching of Isaiah 6 is to demonstrate the Holiness and Righteousness of God. However, in studying the text, God can also be seen as King, Judge, and Savior. My prayer is that as you study and ponder Isaiah 6 you will come away with a renewed sense of the holiness and righteousness of God. That you will be careful to maintain an element of fear as you approach your Christian walk. That you will render to God the reverence demanded by His nature and His glory. My prayer is that you will never take lightly His magnificent nature, and that you would hold as precious His mighty name. Join Me in Studying, Understanding and Living God’s Word! www.thebibleboy.com is a participant in the Amazon Services LLC Associates Program, an affiliate advertising program designed to provide a means for sites to earn advertising fees by advertising and linking to amazon.com. Some of the textual links on this site may be Amazon "affiliate links.” This means if you visit the link and purchase the item, I will receive an affiliate commission. Regardless, I only recommend products or services I use personally and believe will add value to my readers. I am disclosing this in accordance with the Federal Trade Commission’s 16 CFR, Part 255: “Guides Concerning the Use of Endorsements and Testimonials in Advertising. Site copyright www.thebibleboy.com. All comments on this site are moderated. We publish comments which seek truthful answers or provide relevant commentary. We do not publish hateful comments by drive by shooters.